Emmanuel Fremiet sculpted many small animals at the start of his career and they remain popular today. 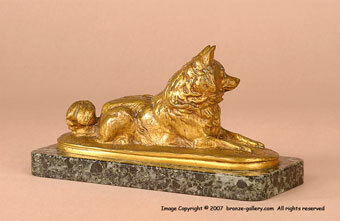 His small bronze of a Husky or Samoyed dog is well known and it is a charming model. The dog is alert, perhaps watching for his master. 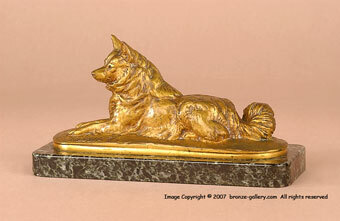 A very elegant cabinet bronze that would enhance any collection. 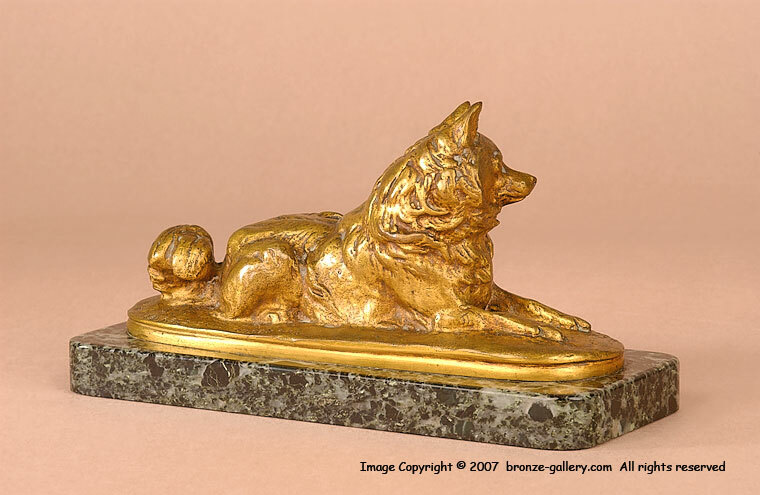 This bronze is cast by the famous Barbedienne Foundry in Paris and bears their mark, it is mounted on the original green marble base and has a warm gold gilt patina. 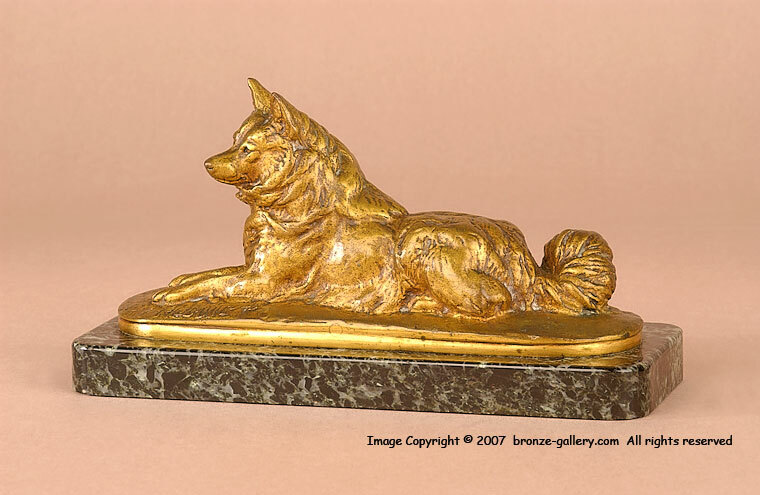 This sculpture is pictured in the book Les Animaliers by Jane Horswell on page 187.